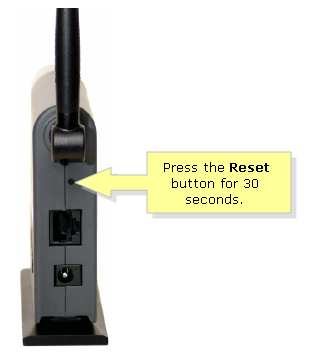 The Wireless-G Game Adapter can be set to factory default by pressing the Reset button underneath the antenna and resetting through the Game Adapter’s web-based setup page. Pressing the Reset button for 30 seconds will reset the Game Adapter to its factory default settings. 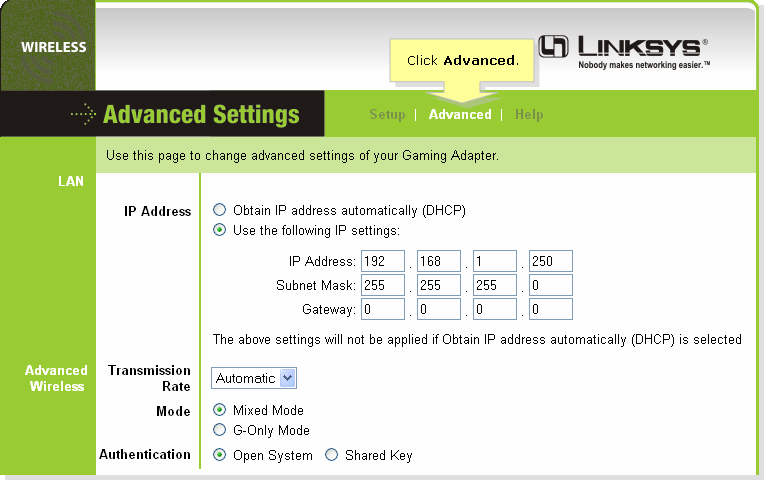 Any settings on the Game Adapter will be erased and its IP address will become “192.168.1.250” and the password will be “admin” after resetting. NOTE: Take note of the current settings of the device before resetting. 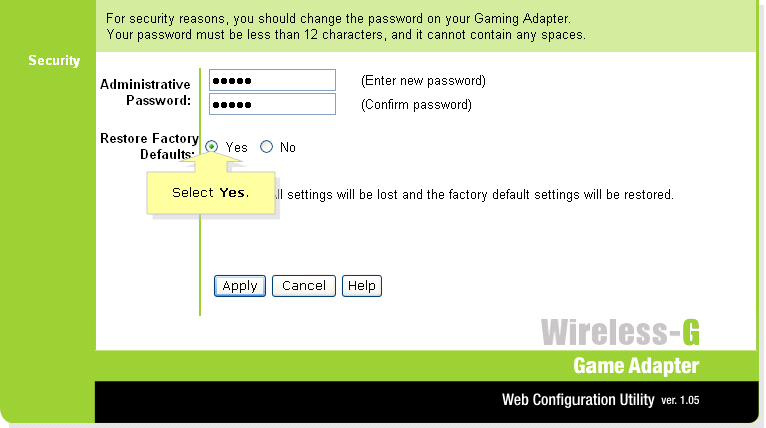 To reset the Wireless-G Game Adapter via its web-based setup page, follow the steps below. Look for Restore Factory Defaults at the bottom and select Yes.